CIEMAT (http://www.ciemat.es/) is a dependency of the Spanish Ministry for Science and Innovation. CIEMAT is the largest R&D institution in Spain (employing over 1200 people) on energy technology development like renewable, fusion, fission, fossil fuels and hydrogen. The Renewable Energy Department (DER) with more than 200 engineers and scientists integrates all activities related to biomass, PV and wind. For activities regarding solar concentrating technologies, CIEMAT counts with the Plataforma Solar de Almería. 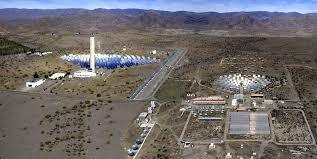 The Plataforma Solar de Almería (PSA) is the largest centre for research, development and testing of concentrating solar technologies in Europe. This location offer researchers a privileged site for evaluation, demonstration and transfer of solar technologies place with climatic and insolation conditions similar to those in developing solar-belt countries (where the greatest potential for solar energy is found) but with all the advantages of a large scientific installation in the most advanced European countries. - SYNPET project. A 500 kW solar gasification plant to demonstrate the feasibility of solar gasification. - SolH2 project. A national project to demonstrate the viability of ferrite-based water dissociation reaction by testing a 200 kW indirect receiver reactor. In addition, CIEMAT-PSA has contributed to the elaboration of the European Road-mapping and technology assessment within the INNOHYP-CA project and is participating in the European Project EUROCARE on advanced combustion processes and fuels. Finally, the High Solar Concentrating Systems Team at PSA gathers skills and background in many of the key themes identified as crucial for the development of solar thermochemical hydrogen: Development of high-flux/high-efficiency solar concentrators, development of components and testing for solar receivers and reactors, evaluation and performance analysis of solar reactors and systems, instrumentation and characterization of high-flux/high-temperature experiments.